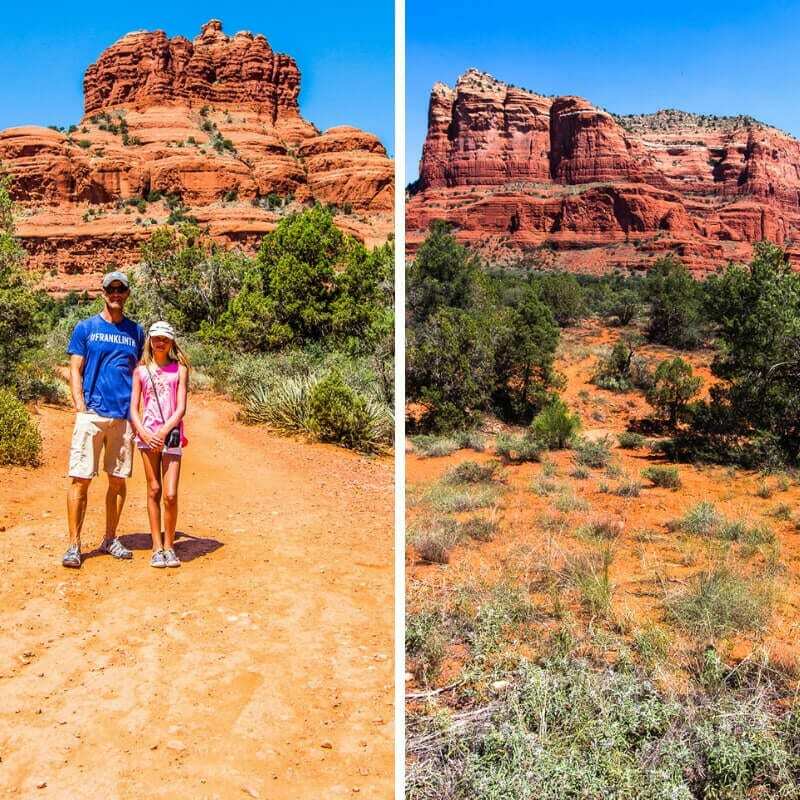 Our trip to Sedona in September was part of our four-week USA road trip with visiting family from Australia. 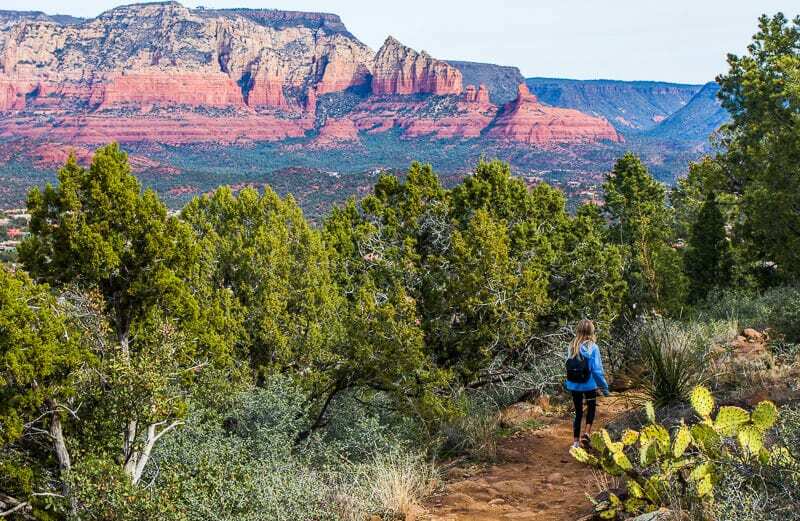 This is Red Rock Country and many of the activities revolve around the outdoors so they are free, or cheap, and involve immersing yourself in nature – one of our our favorite things to do in Arizona! We loved exploring this town. 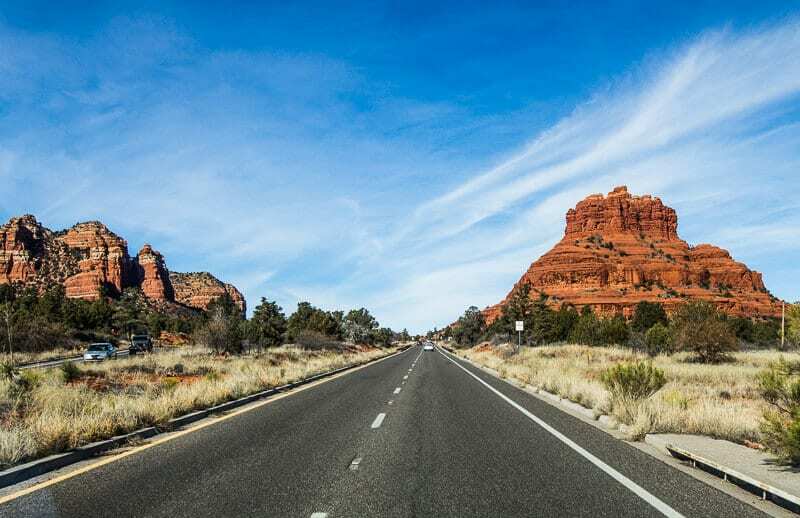 It’s one of the most beautiful destinations in America, if not the world, and we can say that after visiting 50+ countries! 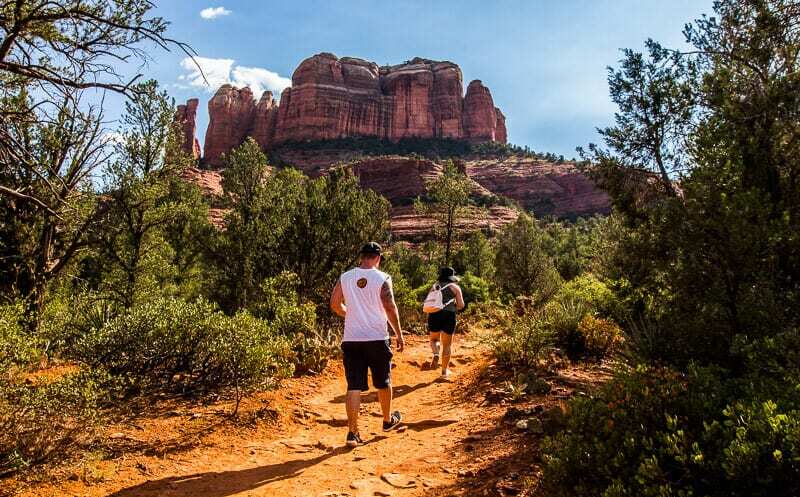 The Bell Rock Pathway is one of the most popular hiking trails in Sedona and one of the easiest Sedona hikes, and it’s a stunning view as you get closer and closer to these iconic red rock formations. 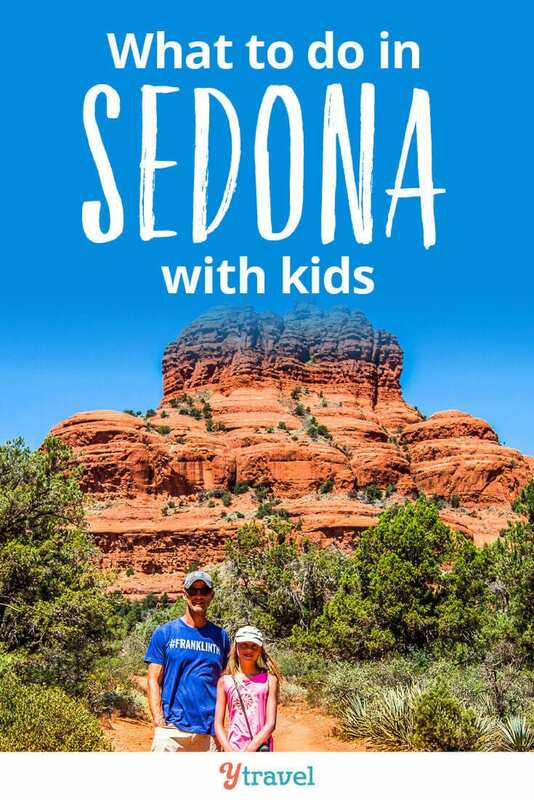 This is definitely one of the fun kid-friendly things to do in Sedona, and close to the village of Oak Creek. 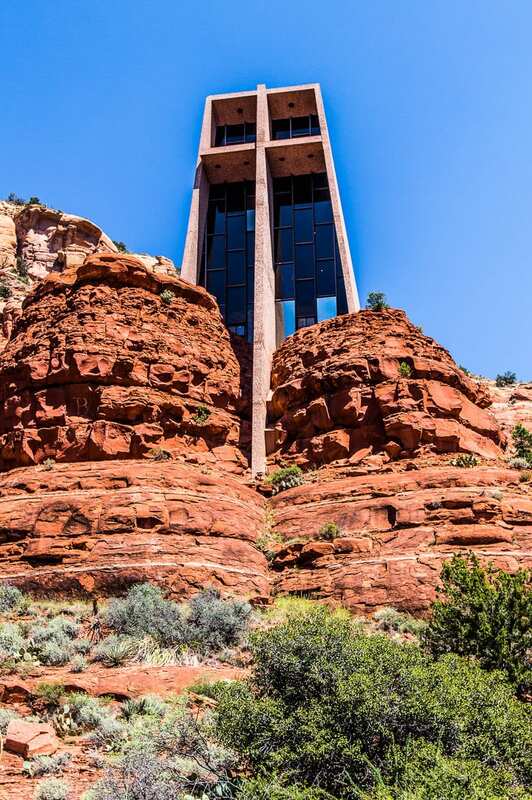 First stop on our sightseeing drive was the impressive Chapel of the Holy Cross, a Roman Catholic chapel built into the red buttes. 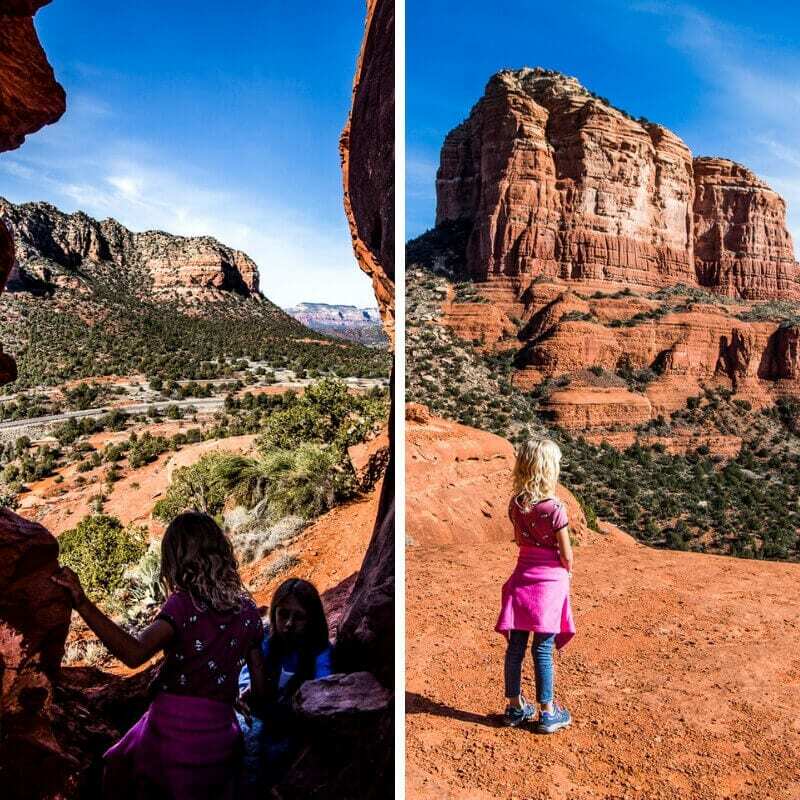 One of the best free things to do in Sedona with kids is to simply drive along Red Rock Scenic Byway 179 (SR 179). 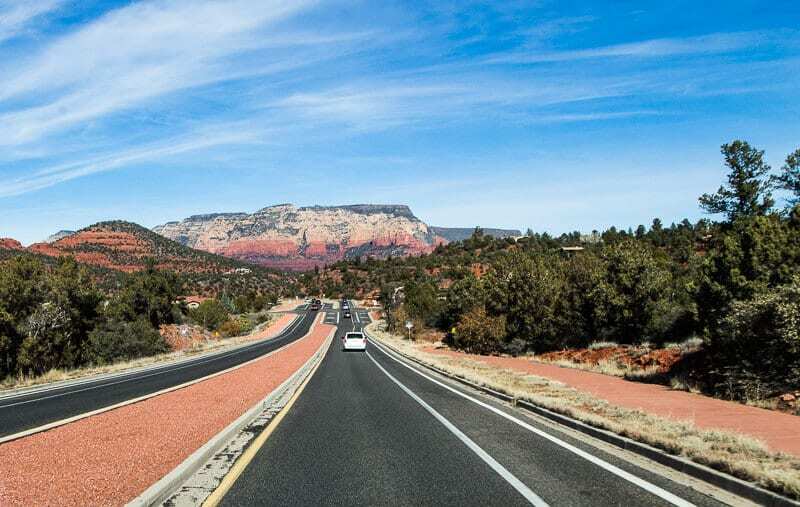 You jump on this stretch of road off interstate 17, but I think the best section is between the Village of Oak Creek towards Uptown. 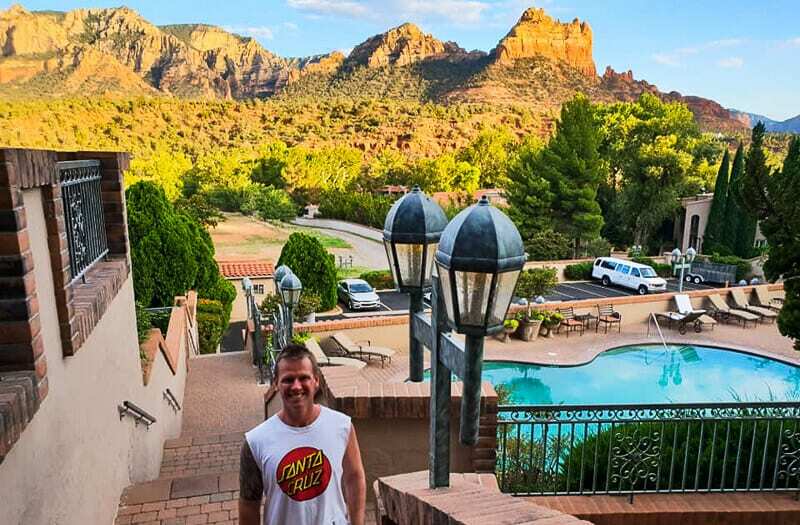 We stayed in the Village of Oak Creek (see our hotel down below) and each morning drove 15-minutes into Uptown to meet my parents at their hotel. 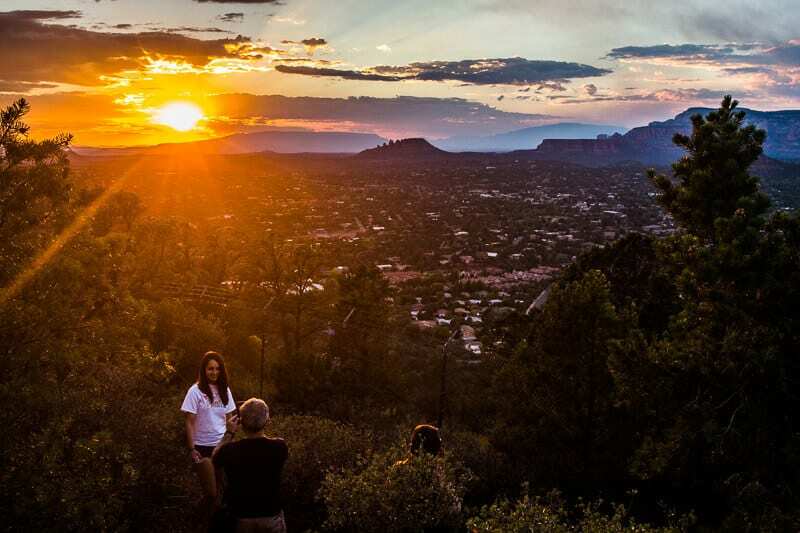 The Airport Overlook at sunset is another one of the most popular things to do in Sedona. 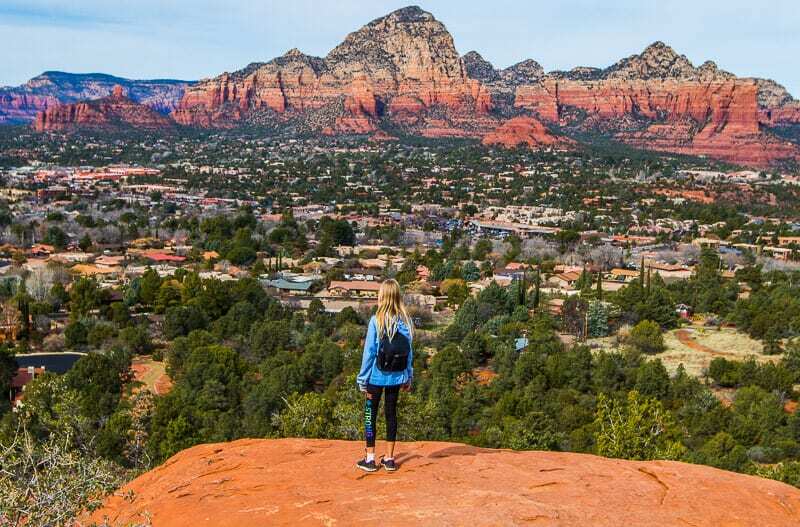 We didn’t do the following airport hiking trails in September, but have just completed them with Caz after arriving back in town this week (mid-January). 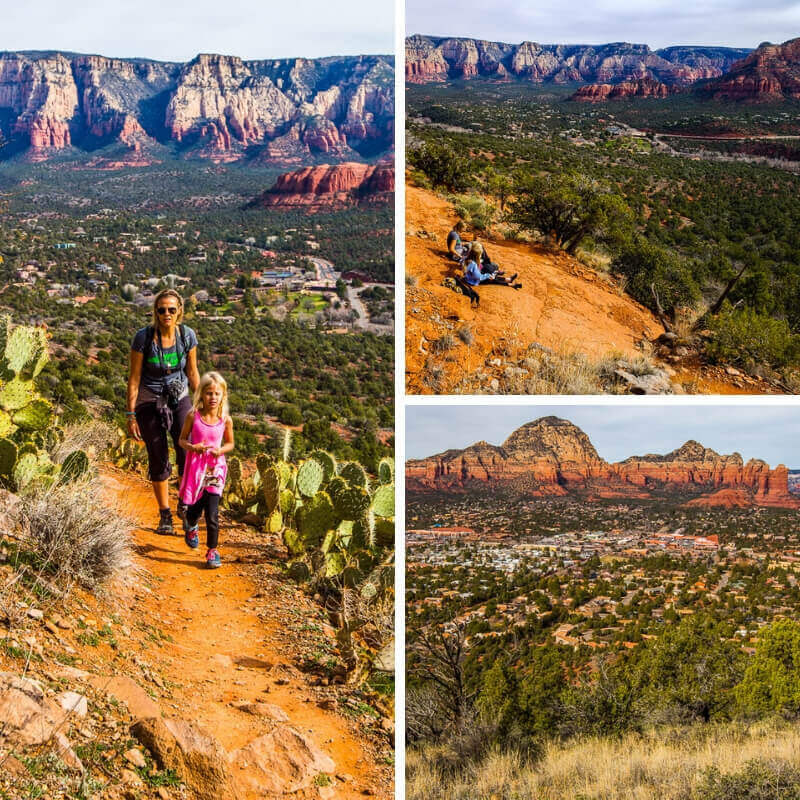 From there you can walk half a mile back down hill on the Airport View Trail (one of the easy hikes in Sedona) to the start of the Loop Trail and get these views! 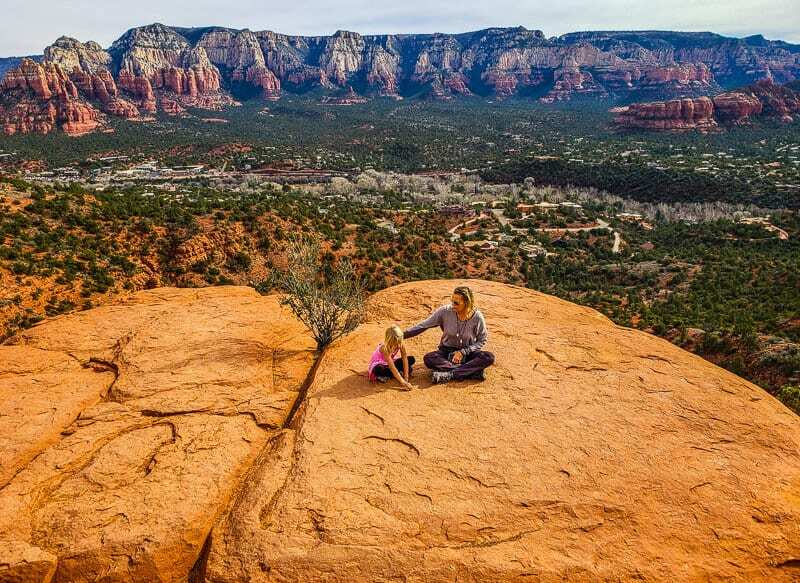 Red Rock Country is regarded by Native Americans as sacred, and it continues to be recognized as a place of healing and spiritual renewal. Many visitors come to experience the vortex energy centers. 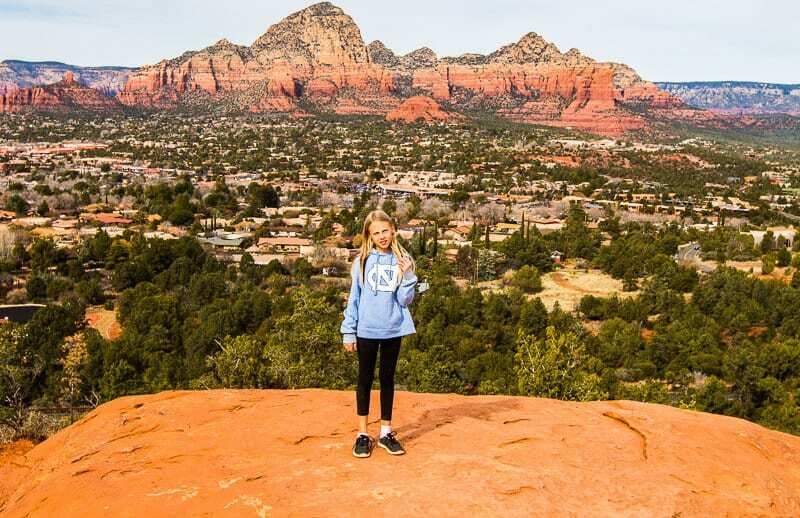 People travel from all over the world to experience the mysterious cosmic forces that are said to emanate from the red rocks. 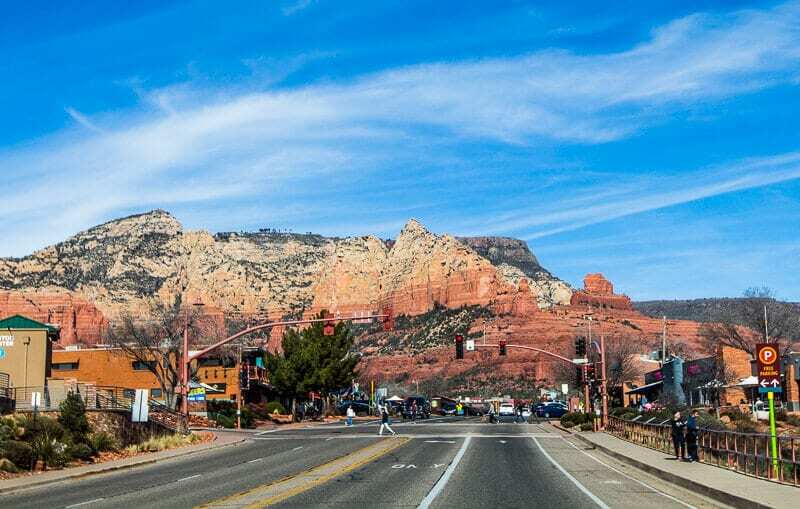 Wander up and down both sides of the street (SR 89A) in downtown Sedona checking out all the stores! 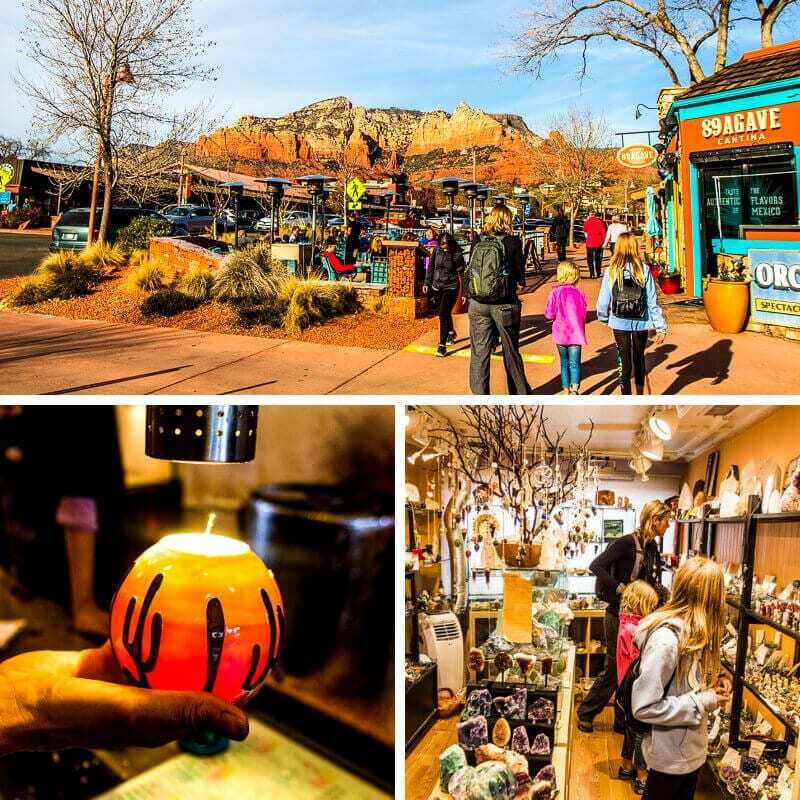 My kids loved shopping for candles at Candle Magic (tell Angie we sent you), and picking out their favorite crystals to either wear as a necklace or bracelet, or place beside their bed. Be warned, this is NOT one of the free things to do and you could easily go crazy on the shopping here! 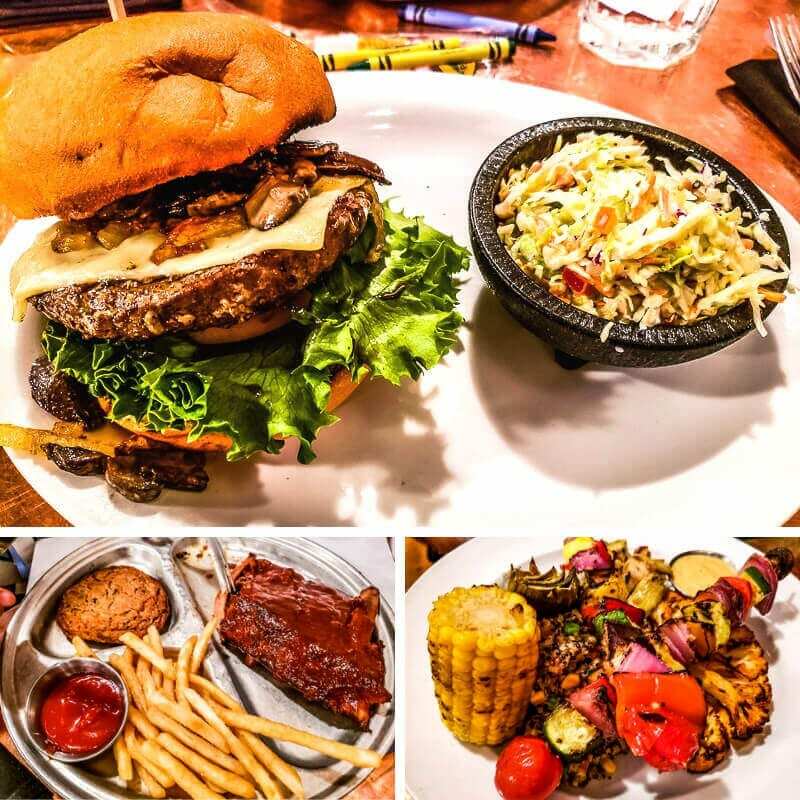 Canyon Breeze is right in the middle of Uptown and is a bit of an all-in-one restaurant serving up pizzas, burgers, a full bar, and ice creams. 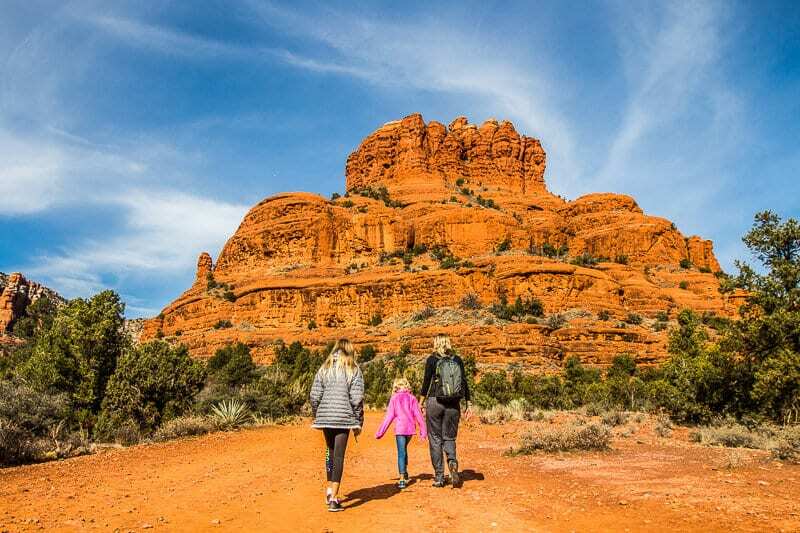 Cathedral Rock is one of the most-photographed sights in Arizona and a famous natural landmark. 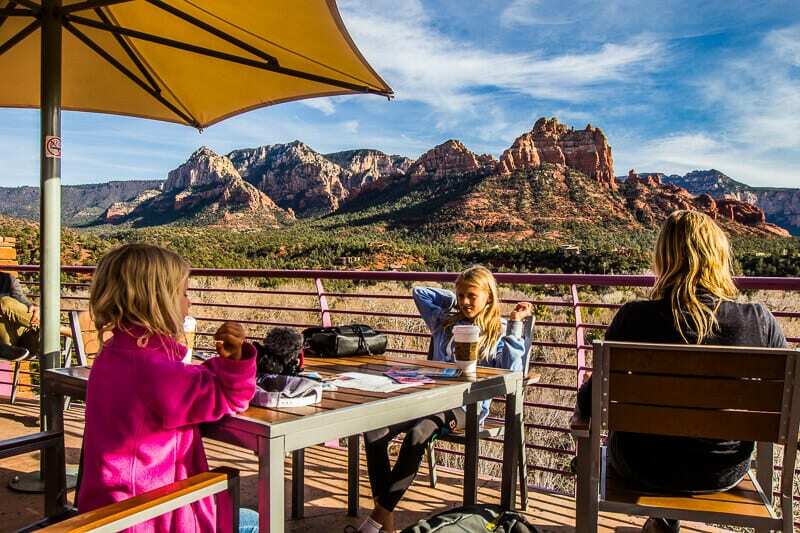 This arts and crafts village has been a landmark since the 1970’s. 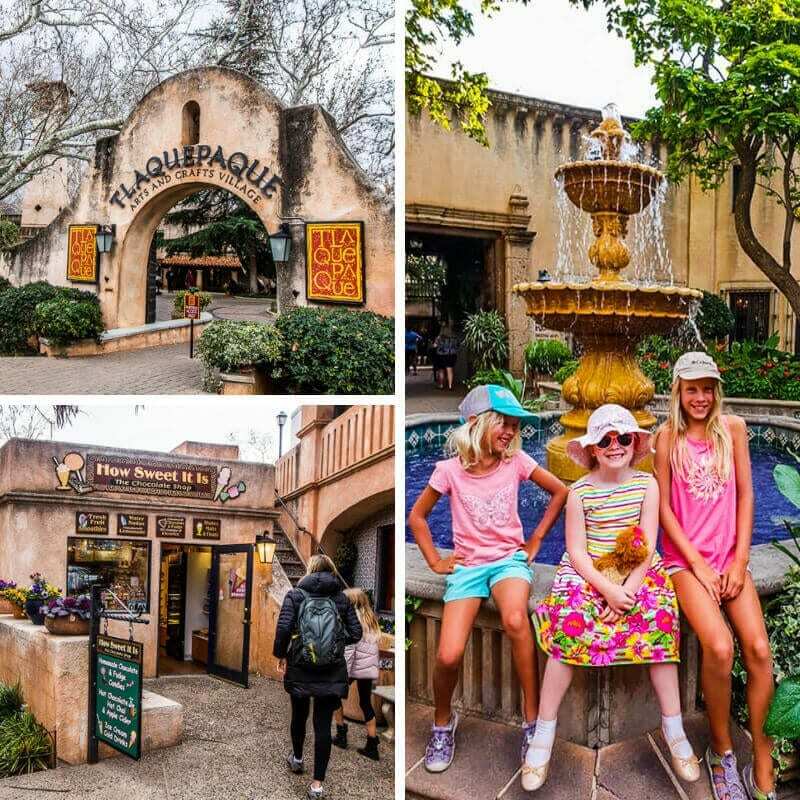 Wonder around the village and take in the collection of galleries, shops and dining options, and admire the courtyard fountains and vibrant colors of its gardens. 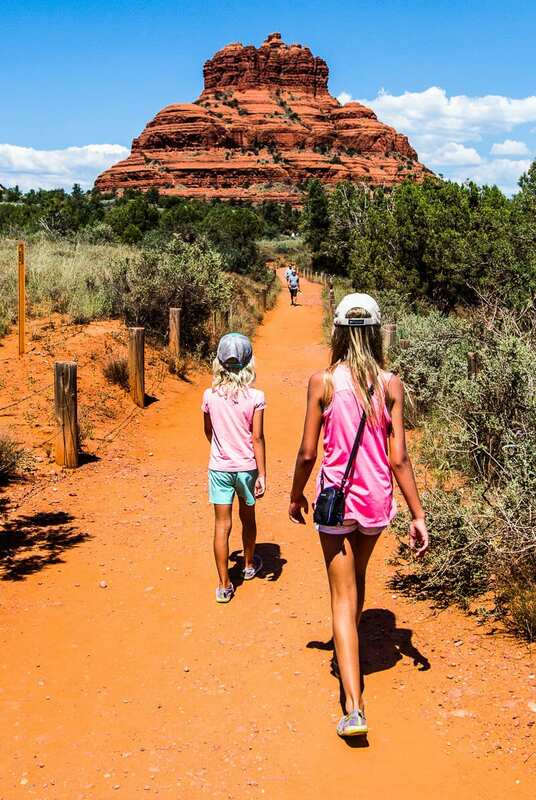 But it’s at the very top of our list during our return trip, with the Broken Arrow or Schnebly Hill Pink Jeep Tour highly recommended. 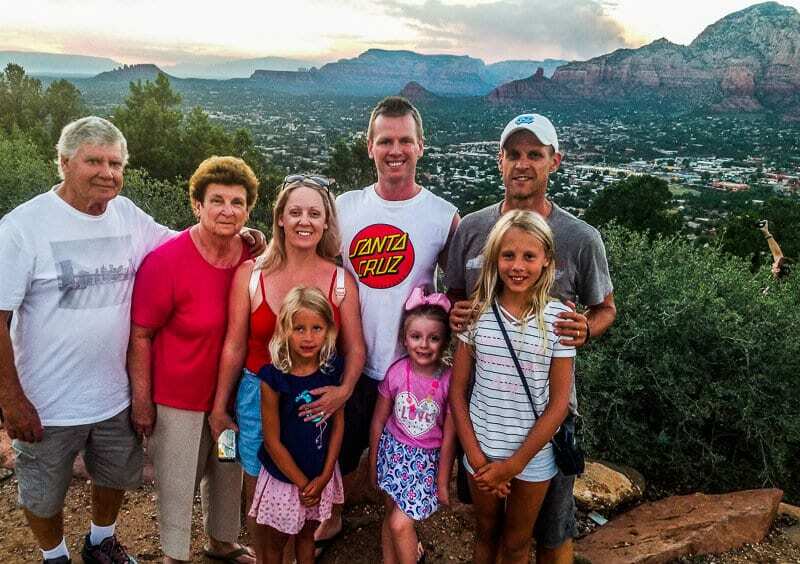 Our partners, Get Your Guide, offer Pink Jeep Tours including the 2-hour Scenic Rim tour with hotel pick up, the highly recommended Broken Arrow 2 hour Tour, or the Vortex Tour. 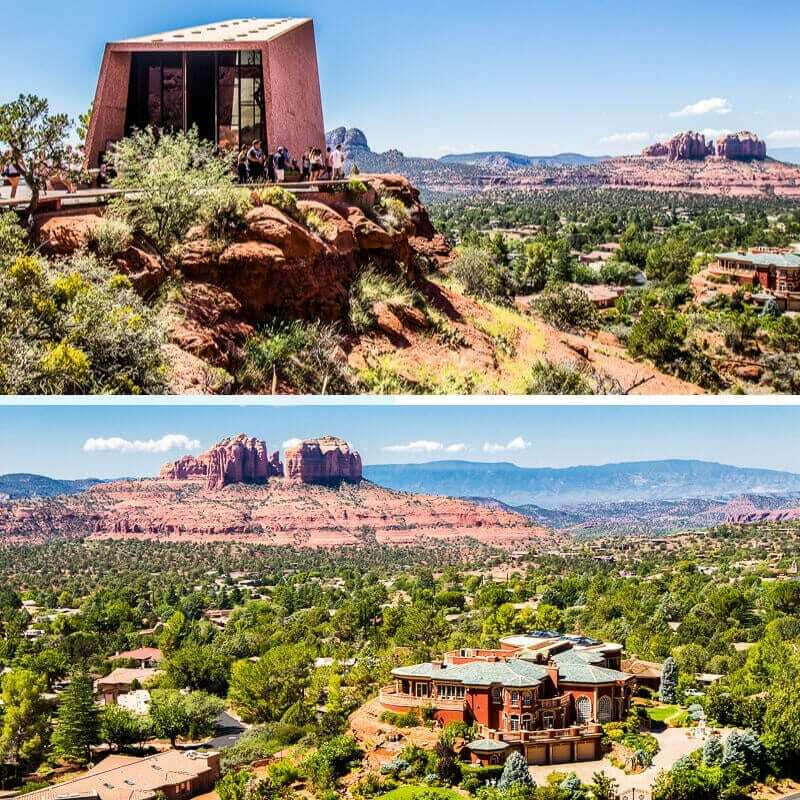 More than 50 movies were filmed in this region and many of Hollywood’s biggest movie stars have stepped inside what is now called the Cowboy Club. 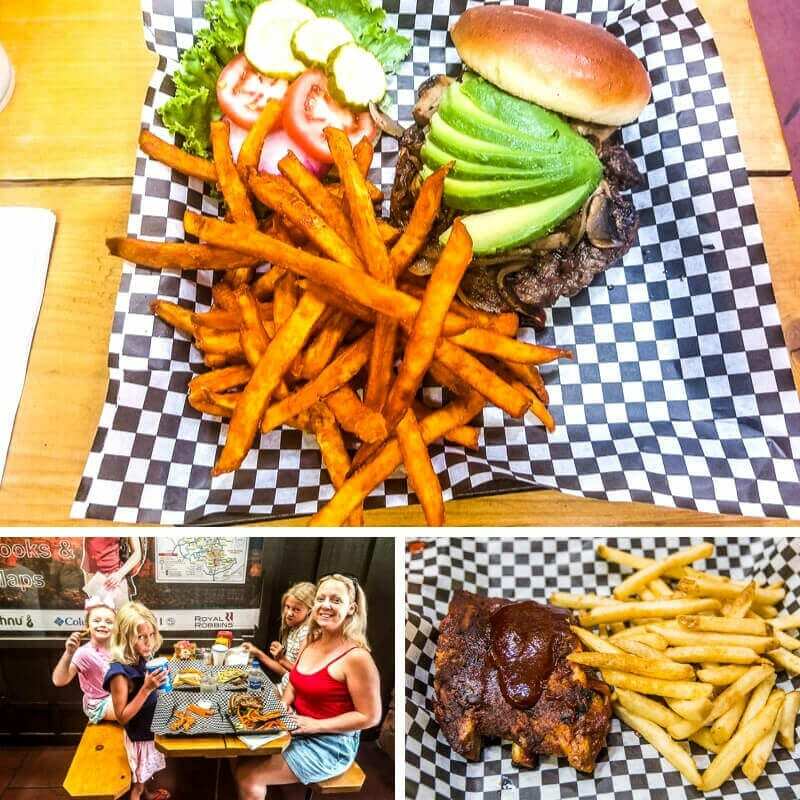 Located down a lane way off the main strip in Uptown, you won’t get those classic red rock views from here, but you’ll get tasty burgers made with fresh ingredients served up by friendly locals. I asked around the locals for a good coffee suggestion, and the feedback was not that inspiring and that this town is not known for great coffee – and coming from Australia we are a bit fussy! After just arriving back in town, the very friendly business owner at the Candle Magic store highly recommended Creekside Coffee for good coffee. 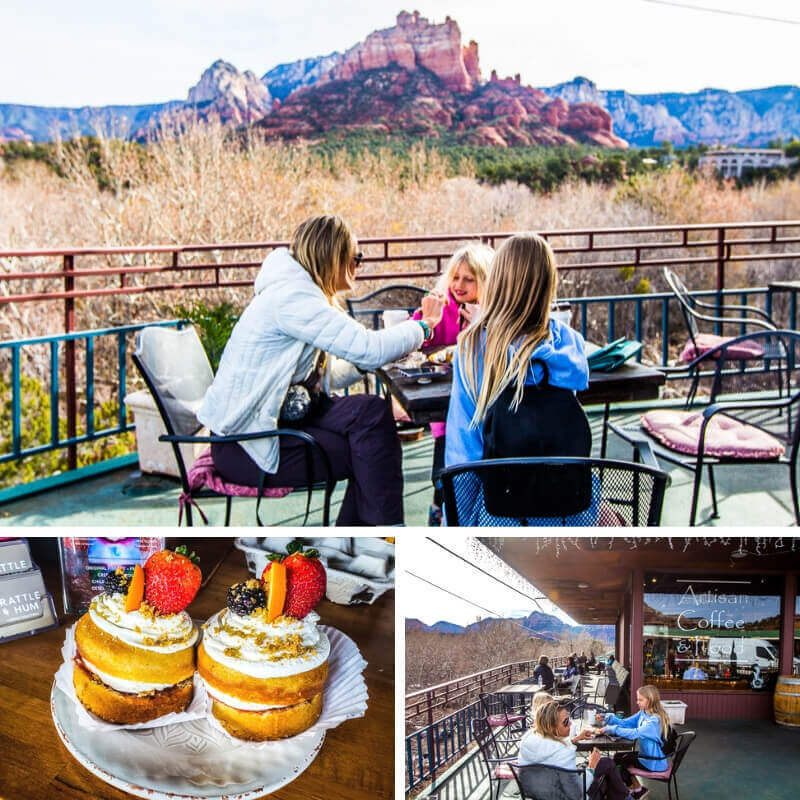 Memories Bakery & Cafe – loved by locals! 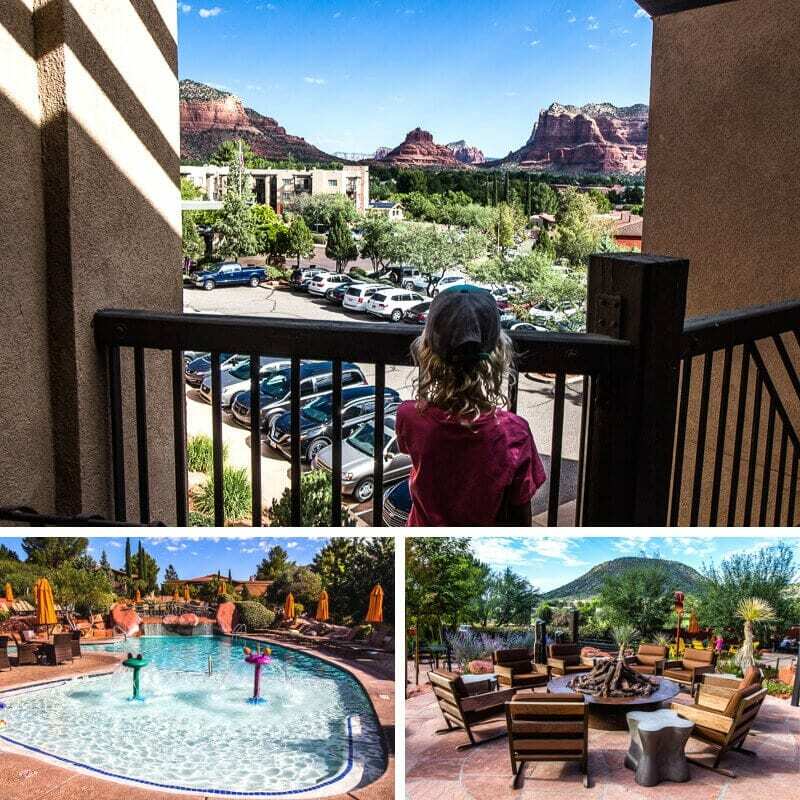 My two kids and I stayed at the Hilton Resort at Bell Rock. 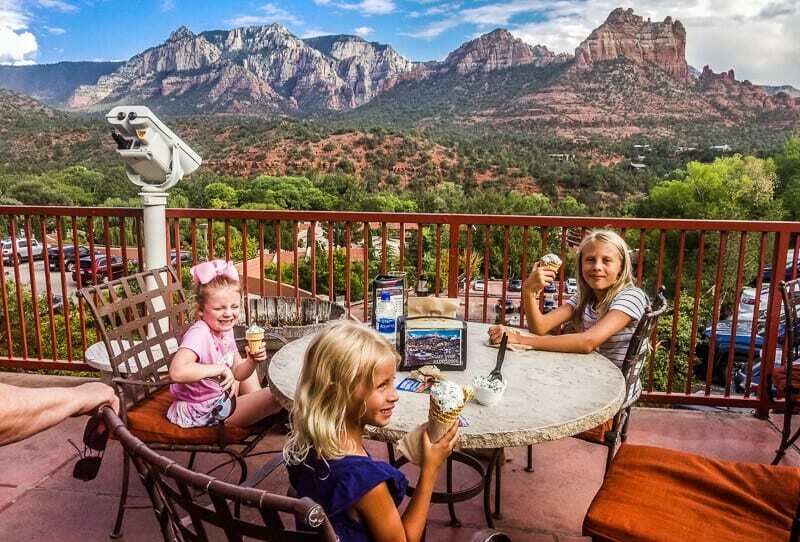 Situated in the Village of Oak Creek, the Hilton Sedona Resort was a lovely place to come back to and recover and relax after our daily activities in and around the region – and it’s just a 15-minute drive back into Uptown along the gorgeous Red Rock Scenic Byway 179! 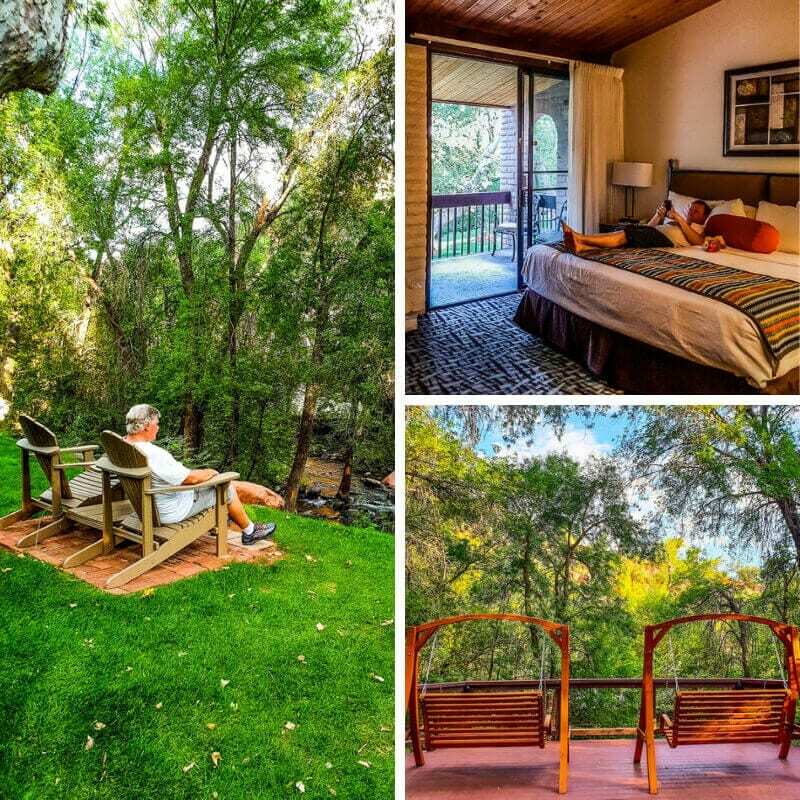 If you want to stay in the heart of Uptown without spending a fortune, consider the Best Western Plus Arroyo Roble Hotel & Creekside Villas. Book early because of this hotels proximity to Uptown. 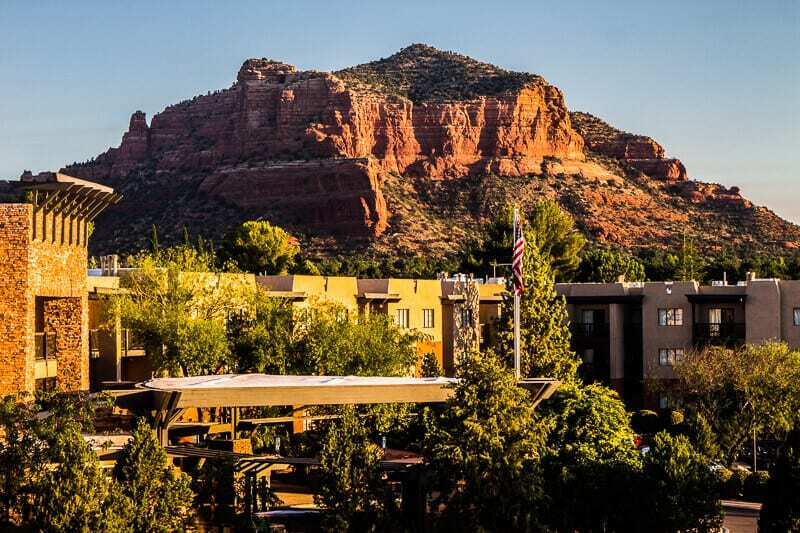 I also looked at staying at this Best Western a few months out from our visit in September but it was booked solid. 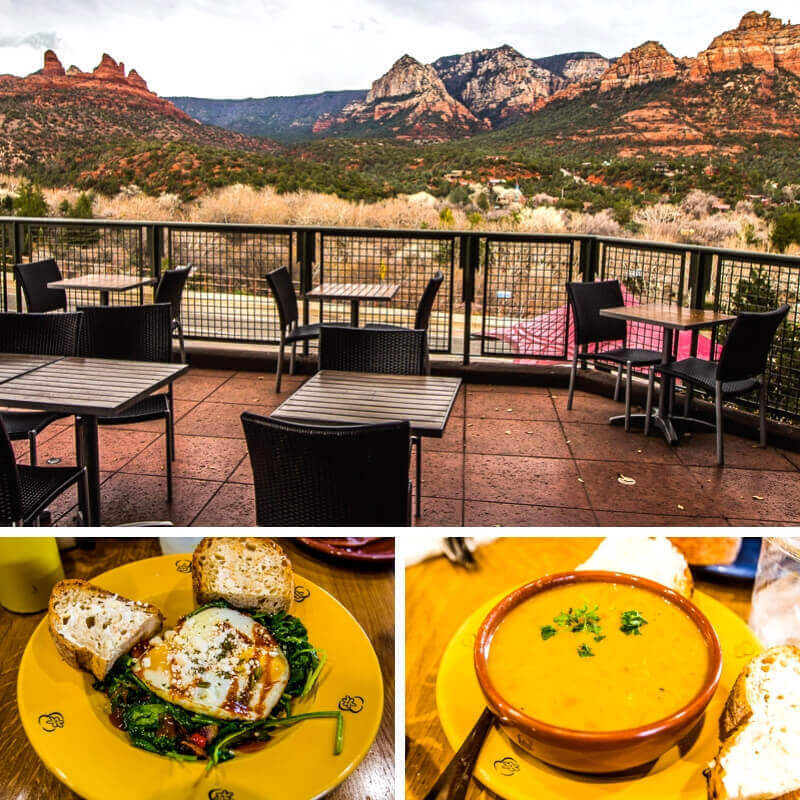 If you’re looking for luxury, consider the L’Auberge de Sedona which is situated on the banks of Oak Creek in the heart of Uptown and is an unmatched luxury resort and nature spa with award-winning dining. 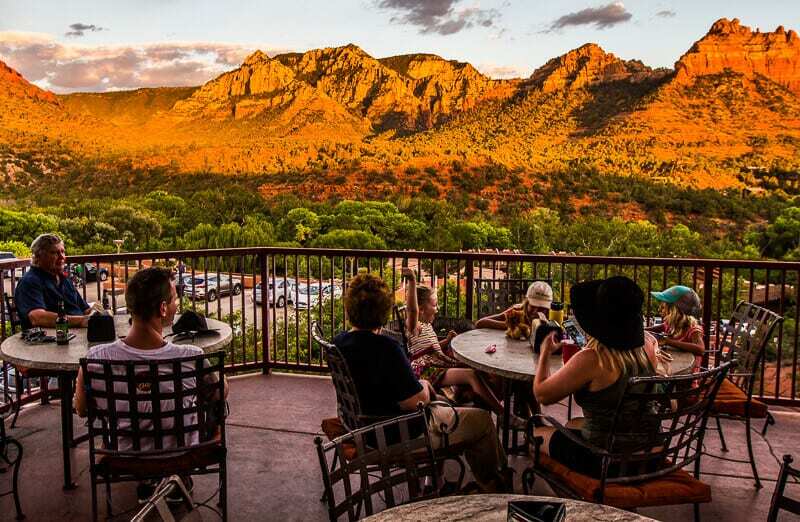 Another popular choice is Orchards Inn, which offers panoramic red rock views and is centrally located among Uptowns finest shops, galleries and restaurants. 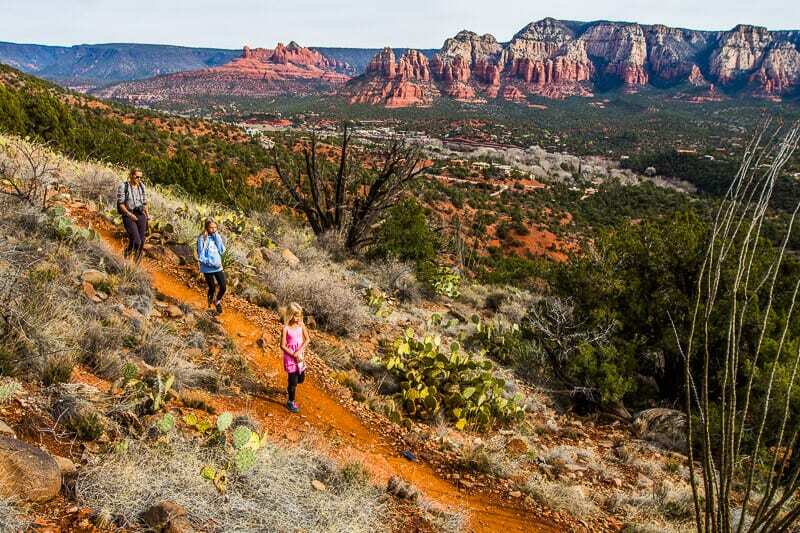 It is located in the northern Verde Valley region of northern Arizona. 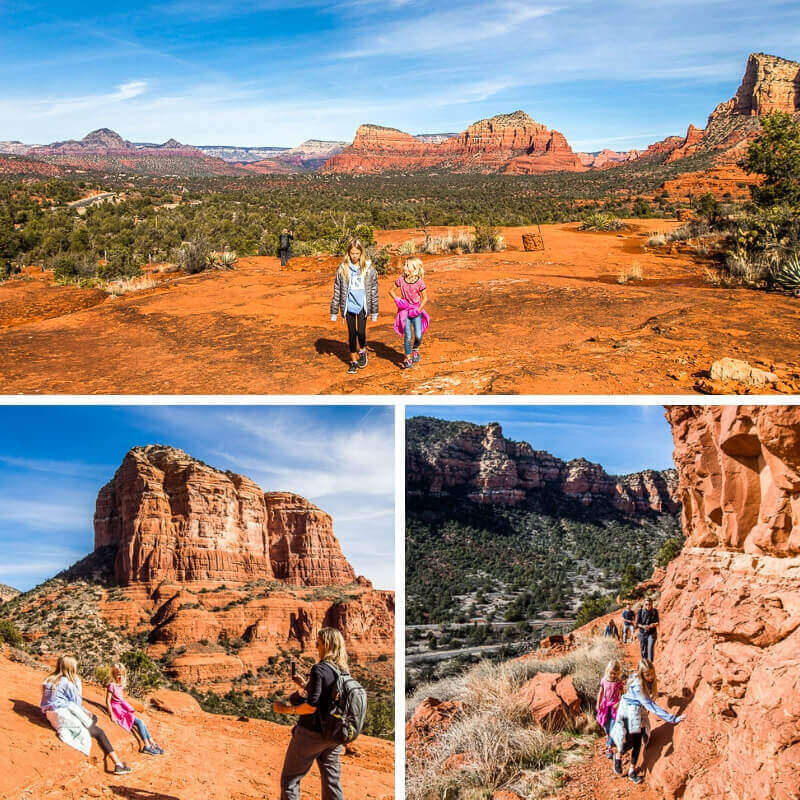 Red Rock Country really does offer some of the most picturesque hikes we’ve ever done. 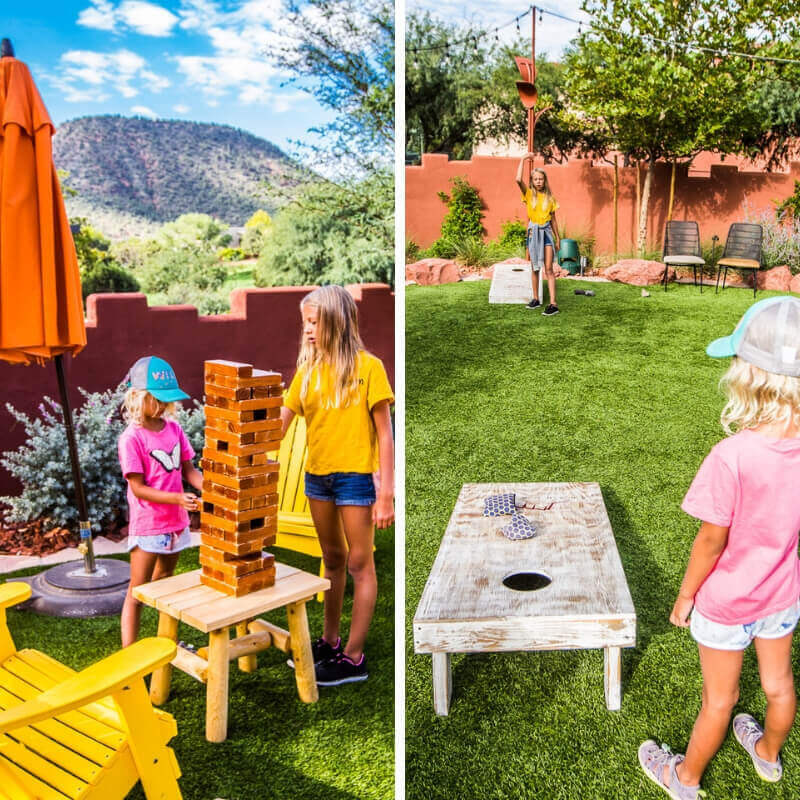 Plus the numerous other family-friendly activities on offer have us planning to make this trip to an annual family vacation! 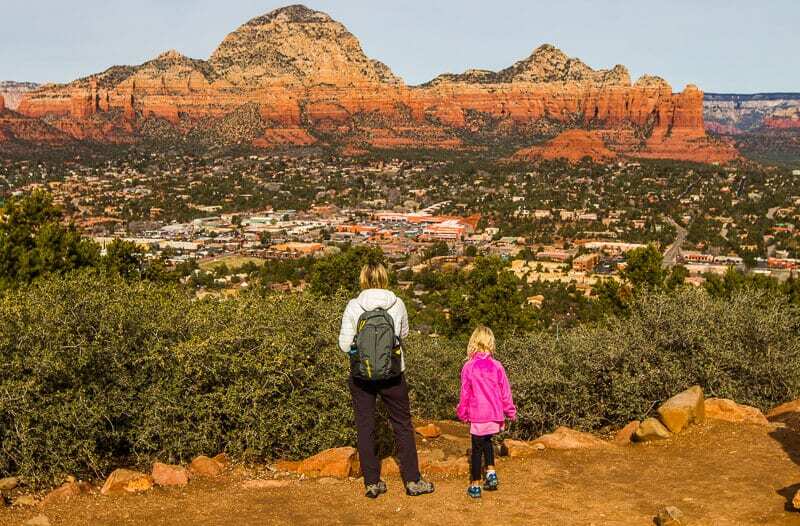 Stay tuned, we’ll be adding more tips to this blog post after we leave town next week (end of January). 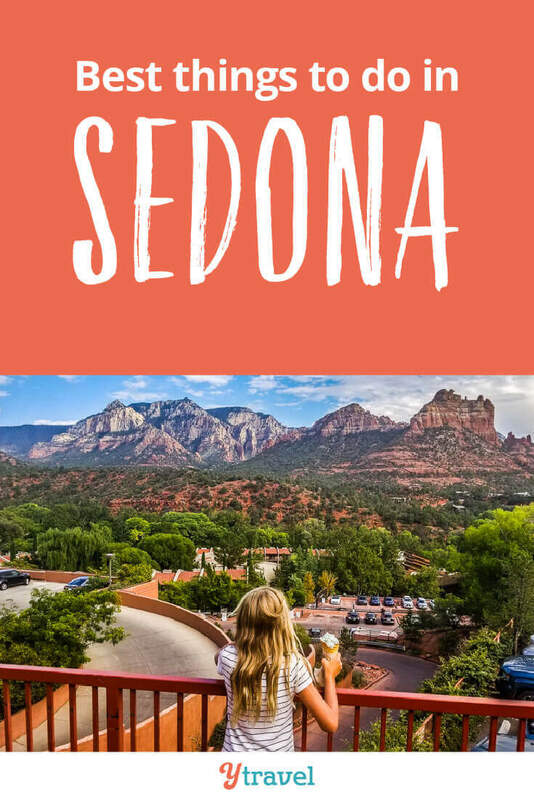 Do you have any tips on what to do in Sedona AZ? Or have any questions? Please share in the comments below!